I truly believe "Hair is the Best accessory a Woman can wear" and today lets accessorize our best accessory. I have observed that in past I have had a safe zone when it came to styling and didn't experiment outside that zone. But now Blogging has given me a reason and all my wonderful kind readers comments has given me the confidence to try out different styles. Thanks guys I owe it to you, big time ! Hair Accessories can change your look completely. This is my first experiment with a head piece. I love hair accessories that make a statement. 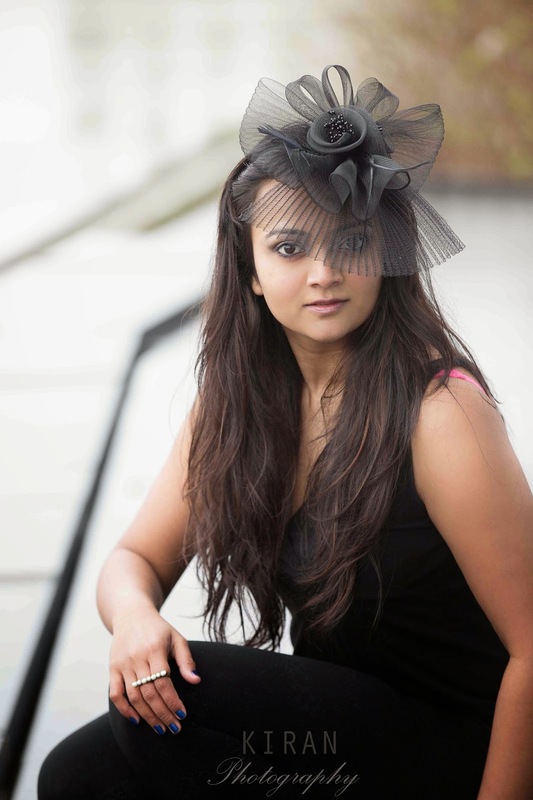 This black head piece is a versatile hair accessory that I first wore with a formal gown and it looked Lady like. 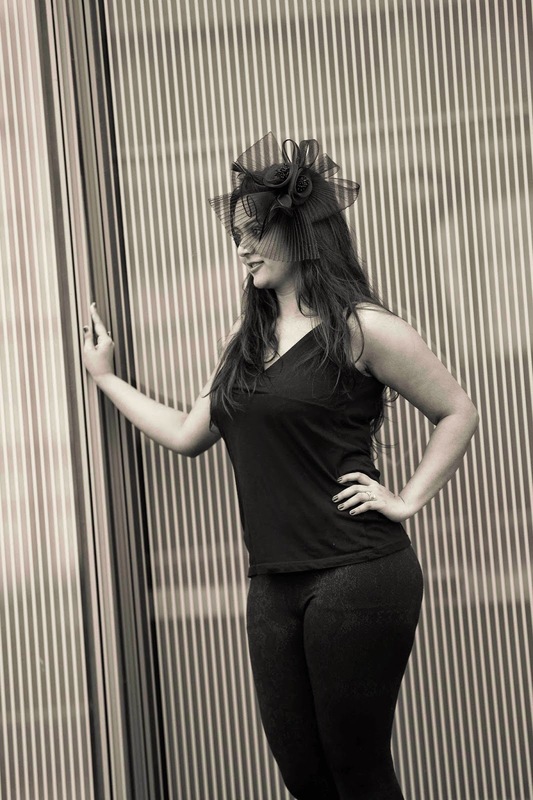 Well here, I have kept my outfit extremely simple with dark grey leggings and black top as I want all the attention on my head piece and finger ring. I absolutely love this look please let me know your views ! 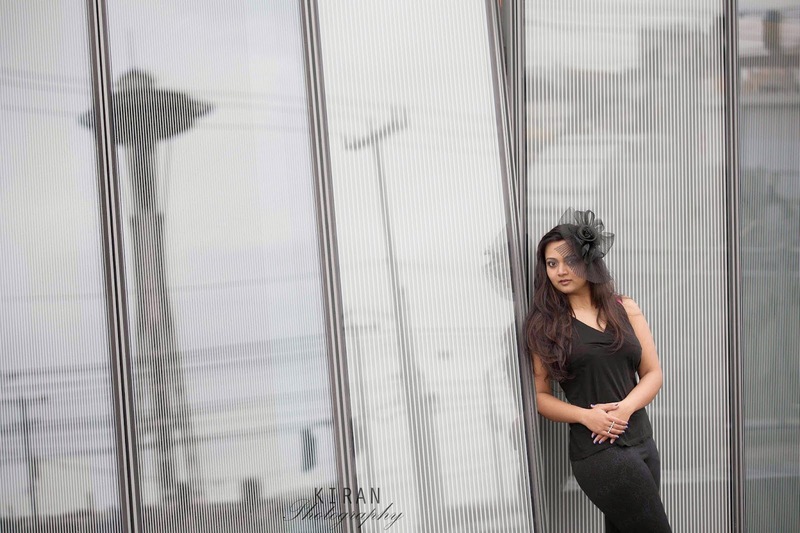 Love the Space Needle reflection, Thanks to Kiran for the wonderful clicks ! My friend just got one of these headband for her birthday. You look stunning. love the piece. thinking of trying one myself. Loved the outfit and the Hair piece! your hair piece looks so pretty. You look stunning in the first pic. Love the reflection of Space Needle. Such an impressive structure! Hey Ananya, i liked the head gear and the ring. Nice pics. Good to follow a fashion blog. Thanks for visiting The Sinhas at No. 302. See you around ! The first shot is beautiful!